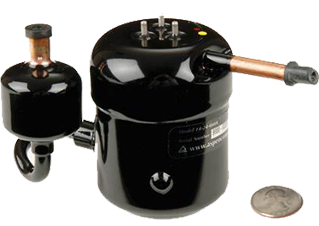 Miniature Compressor – Eagle Lake Systems, Inc.
Our client manufactures small, DC-powered, variable speed, rotary compressors for refrigeration and air conditioning applications. Our challenge was to develop a new test & measurement solution for R & D and production testing of compressor performance under a wide range of loads and environmental operating conditions. 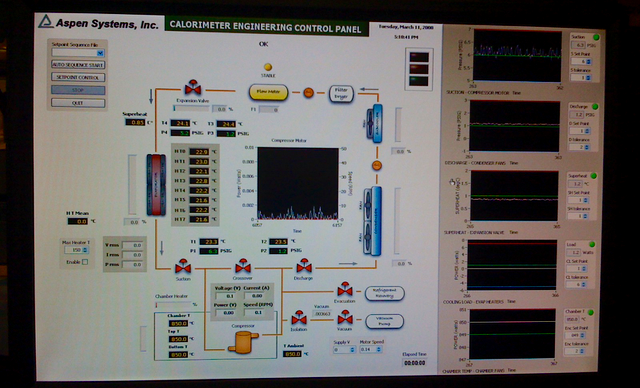 Eagle Lake designed, integrated, and deployed a LabVIEW-based automated measurement & control platform. The design featured a custom hardware device abstraction layer, an automated set point sequencer state machine, multiple independant PID control loops, and our proprietary "no wiring" user interface libraries.